it immediately in the holiday mood. We look forward to welcoming you. We have just returned from a weeks stay at this gorgeous home. Rosi and her family were so welcoming and accommodating. The apartment was spacious yet cosy and spotlessly clean. The kitchen was very well equipped. Its in a very quiet location which suited us as we have a 20 month old. Rosi had provided a cot, highchair and a stair gate. If we needed anything Rosi had let us know she was only a knock away. We ate on the balcony each day - that novelty will never wear off! There are 2 bakeries in the village - both fantastic. We could not recommend this property highly enough and look forward to returning. Gemütliche Ferienwohnung mit liebevoller Betreuung in toller Landschaft. Wir haben uns sehr wohl gefühlt und konnten bei schönstem Wetter die Natur erkunden. Die Eigentümer waren sehr bemüht und hatten viele Ideen und Tips für uns. Wohnung war gut für 4 Erwachsene. Rosi und Ihre Familie waren nette Gastgeber! Wohnung ist ca. 10 Minuten vom Garmischen entfernt (mit Auto). In Farchant gibt es Einkaufsmöglichkeiten und auch ein paar Restaurants. Ich empfehle auf jeden Fall diese Wohnung!!! Farchant liegt bei Oberbayern 100 Km südlich von München und 4 km vor Garmisch-Partenkirchen. by the beautiful mountains and surrounded by nature. 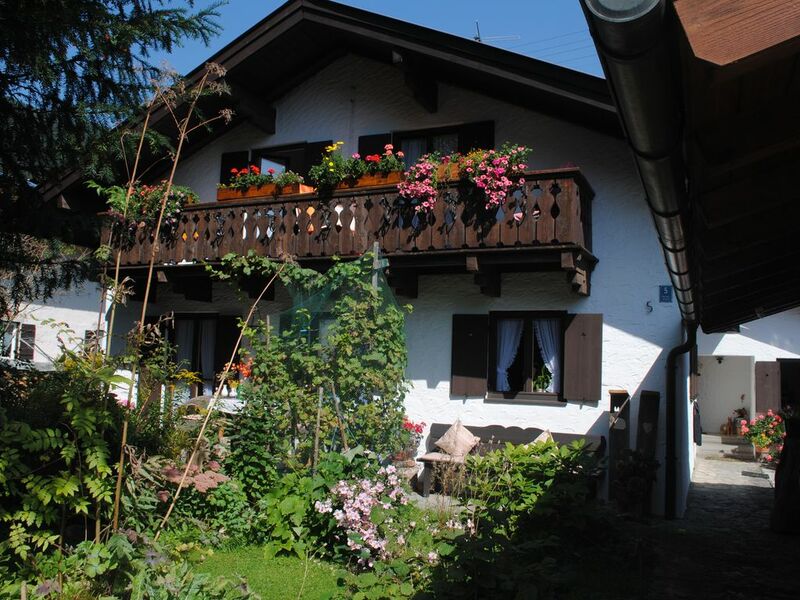 The second is located in Castle Rain in Garmisch-Partenkirchen. a unique landscape of snow in the open.